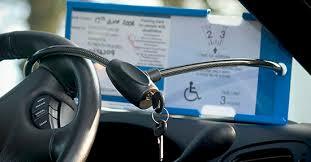 Empowering disabled drivers through technology. The UK’s first demonstration of a tele-operated autonomous vehicle service for those with reduced mobility has been successfully completed as part of the GATEway project, led by TRL and GATEway partners Gobotix and O2. This trail enabled the driver to dial up to a service where a remote operator then helps park their vehicle. This has tremendous potential to help those drivers with mobility issues to continue to drive and keep their independence. Parking is a major challenge for disabled drivers, especially when there is not a disabled parking space available. This trial has shown that this barrier can be removed, how good it is to see those members of our society who are often an after thought, being put forefront of mind right at the beginning of the autonomous technology revolution.